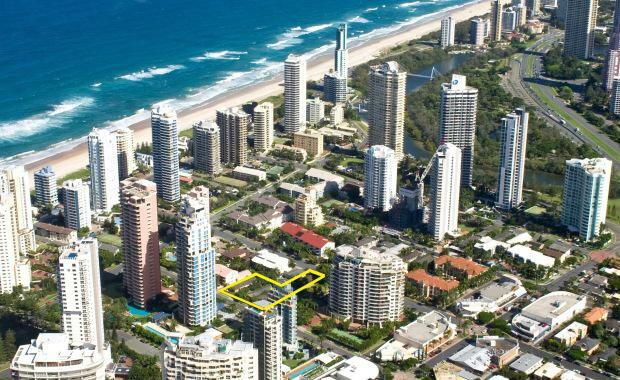 Developer Winten Property Group has purchased a development site at Main Beach on the Gold Coast for $10.3 million. Winten bought five titles totalling 2655 sqm fronting Peak and Woodroffe avenues at Main Beach in a deal negotiated by Michael Willems of Ray White Commercial Gold Coast on behalf of two local owners. Mr Willems said he had only listed the property for sale for seven days before finding the high profile developer buyer. “We contacted Winten via my personal database and they were keen to acquire the Main Beach property,” he said. “They are currently weighing up their options for the site. Founded in 1972 by Garry Rothwell, the Winten Property Group is a multi-discipline company with approximately $800 million of project activity underway.